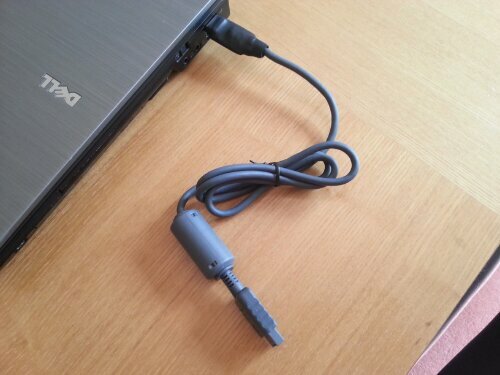 I now have a Playstation coders cable on sale. Simple design, works under all operating systems. Works with the PSXSERIAL code upload tool, which can be downloaded here http://www.psxdev.net/forum/viewtopic.php?f=60&t=378. Also works with Shendo’s BIOS Dumper and PS1 cardlink. Compatible with all models other than the PSOne (it doesn’t have an external serial port). 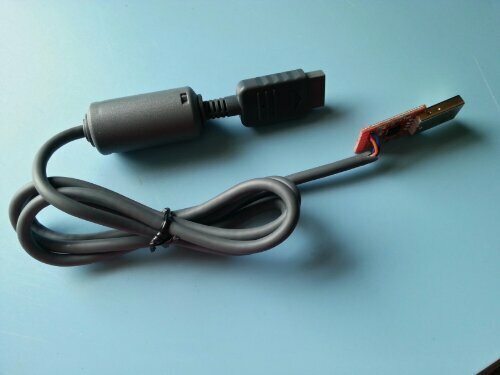 This Post was tagged Coders Cable, development, Homebrew, Playstation, psxdev, PSXSDK, Serial Cable, SIOCONS. Bookmark the permalink. Hi Matt thanks for your interest will drop you an email shortly with further details. Hi. I like to get one too. Do you need this assembly if your Pc still has a serial port? Could i just cut cables and connect all the lines (tx/rx crossed)? Sorry for late reply. I have some USB conveters that were stuck in HK customs.. They are due any time soon so will have more stock for end of december. Ive shelved it for the time being. Look on ebay for a ftdi adapter from a company in the UK called byvac electronics. Their 3.3v variant is perfect and requires no external circuitry. I know this is a super late reply. But i would love to buy one PSXSERIAL cable. Is it still available in any case ? Cables are still available. Drop me a message on here with your email address and I will let you know the details. I would like to buy one of these cables. Are they still available?